FRESNO, Calif. (KFSN) -- It's a colorful, night-time 5k at the Fresno fairgrounds this weekend. Runners or walkers are blasted with Glowing Foam and then lit up by blacklights scattered throughout the course. At the start line, they look like a brand new canvas. By the end, they look like they fell into a tie-dye machine and are covered with different colored foam that glows under black lights. 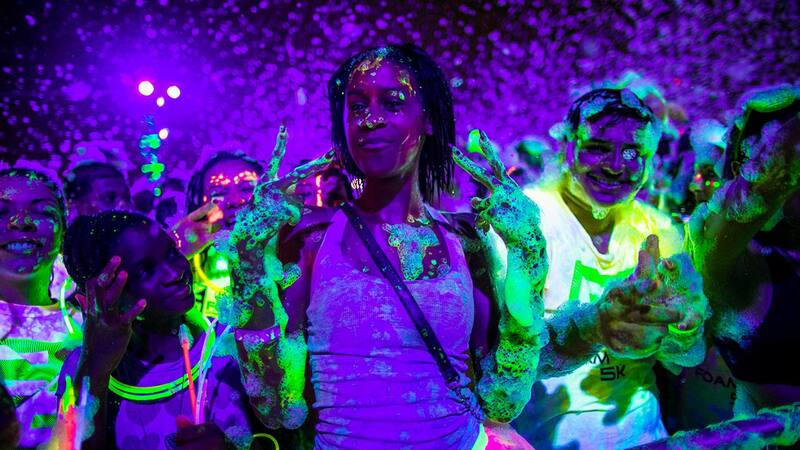 At the end of the race, there will be a Foam Glow Party with a live DJ, glowing foam and tons of blacklights! Registration is free through April 10. After that, it is $40. The 5k is Saturday at 7:45 p.m. Check-in is at 4:45.